Microsoft Azure is located in different places around the world and is the first to have datacenters in more geographical areas than any other cloud providers. This aspect provides a wide scalability, necessary to deliver applications in proximity of the geographical location of users, while preserving the residence of data and providing compliance and resiliency options. You can choose, between different Azure regions, where activate your services, undoubtedly has many advantages, but it is worth considering different aspects when you are faced with this choice. 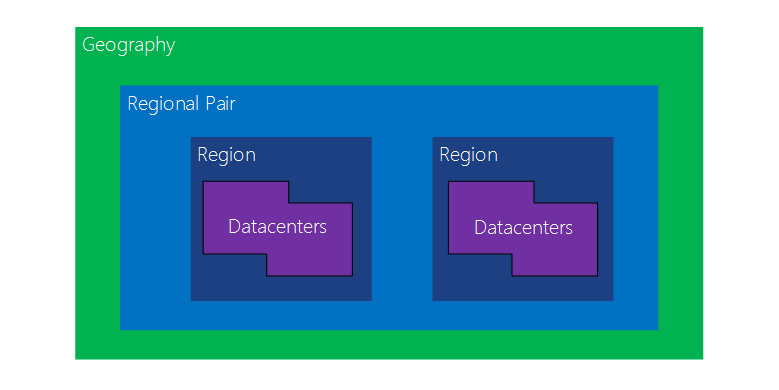 In this article we will be carried over the main elements that should be taken into account in the choice of the region of Azure. 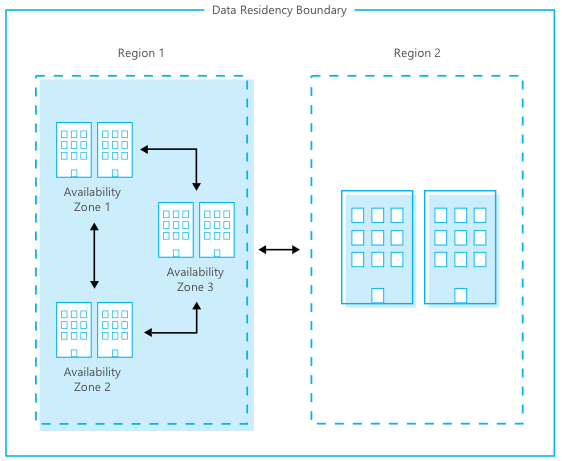 A region in Azure consists of multiple datacenters residing in a specific geographical area and that are connected to each other through a low-latency network. To see the complete list of the Azure regions you can access the page Azure locations. Within a region are present physically distinct location denominated Availability Zones. Each Availability Zone is composed of multiple datacenters equipped independently of the others regarding the power, cooling systems and networks. Each region is paired with another region within the same geographical area, in order to preserve the data resiliency and increase compliance levels. The choice of the Azure region must be done carefully taking into consideration some key aspects, each of which can have a decisive influence. 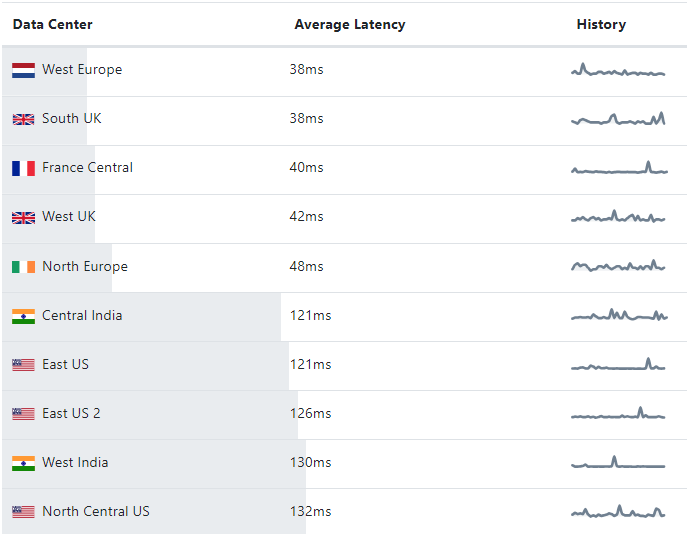 Azure Speed Test 2.0: by accessing this site, you can measure the latency from your web browser to the various Blob Storage Service residing in various Azure regions. Azure Latency Test: shows the network latency from your location to different Azure regions, with the ability to easily apply filters. Not all Azure services are available in all regions, it follows that it is appropriate to check carefully whether the Azure service that you intend to use is offered in the selected region. To see the Azure services available in each region you can access this page, that allows you to quickly apply filters to check the availability of services offered for region. Date residency: by accessing this web site you can get all the information about where the data resides, distinguishing between the services for which you choose the region they belong and those who do not provide this selection during deployment. Compliance: in this portal are listed useful support information for customers who have to comply with specific regulations regarding the use, transmission and archive of data. The costs of the various Azure services may vary depending on region. If the others factors are not decisive in choosing, It may be useful to consider to deploy services in the region where they are most economically advantageous. In order to verify the costs of different services you can access the Azure pricing page. The choice of the Azure region most appropriate for their business needs, must necessarily be made taking into consideration the factors listed. Since this is a strategic choice and not easily editable, the advice is to carefully examine the items listed above, in order to design the best architecture in Microsoft Azure environment. This entry was posted in Cloud, Microsoft Azure on October 23, 2018 by Francesco Molfese.